A Blog by Any Other Name . 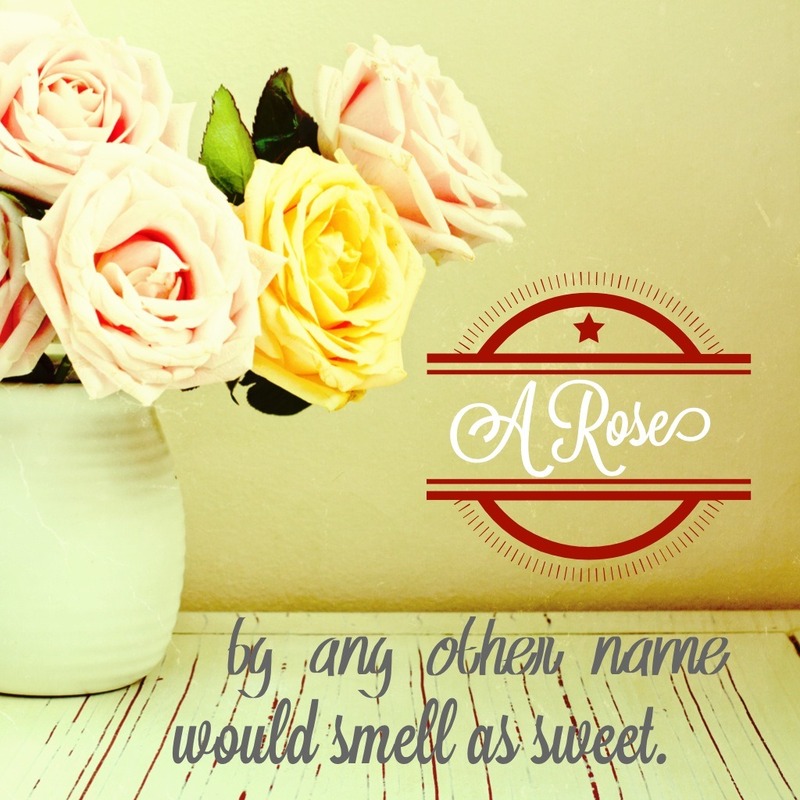 . .
A rose’s scent might be impervious to a name change, but I think a blog’s name holds a significant amount of power. I have a fascination with names. More specifically, I am intrigued by the names of people. I love to hear the sound of a name as it rolls across my tongue. I like to analyze the shape and form of a name that is written out. I can spend hours pouring over lists of names, learning each name’s origin and meaning. When I meet somebody new, the first thing I want to know about them is their name; fortunately for me, our names are the one piece of personal information that we are most likely to disclose to the world, so my request is usually granted. But my inquiry goes beyond my desire to know what to call a person; I want to know the story behind their name. Why did their parents choose this particular name? Do they feel like their name suits them? In short: what is their name’s story? I can trace my name obsession back to the birth of my brother when I was six years old. My parents granted me the honor of helping them name this new child, and to this day, I like to say that Austin has me to thank for his name (though my actual influence on the ultimate choice is debatable). This baby-naming process not only landed my brother a pretty great name, it also served to introduce me to the amazingness that was The Best Baby Name Book. I used my new favorite book to select names for my dolls, my imaginary friends, and even my future children. My lists of favorite names changed over the years, but my passion for names themselves remained strong. Given my affinity for names, it should come as no surprise that the name I chose for my blog was very important to me. My husband and I brainstormed several ideas, trying to identify the perfect name that would encapsulate everything I wanted my blog to be. We came up with some great options, but none that I felt could grow with me as my blog evolves (as it inevitably will). It took me an embarrassingly long time to realize that the only way a blog name could perfectly fit me was to name it after . . . me! And thus, Kendra Nicole (the blog) was born. And now that we’ve been properly introduced – welcome to my blog!